I started blogging back in 2006 (yep, it's really been that long). Well, I've learnt a few things over the years and so thought that today I'd share with you one of the strategies that saves me a load of time and energy: batching. As a lot of you already know, I have two main blogs; this one, and www.WritersAndAuthors.info. I try to post every day to each of them. I also often guest post for other sites. That all adds up to a lot of content. One of the ways I manage to stay so active with my posting is that I batch my blog posts when I can. Not only does it mean I maintain my posting frequency, but it also means I'm consistent with the time of day my posts go live too. I take part in the weekly meme Goodreads Monday every Monday. I set up a template for the post to save time. In one sitting I'll set up all the Goodreads Monday posts for the entire month. I do this for my review posts too. I know which books I'm reviewing over the coming month and so set up the posts, leaving space to insert my review when it's ready. It saves me a lot of time as I can pull all my Amazon affiliate links, the book info, book covers, etc... all at the same time. As I keep an editorial calendar, I always know in advance what content I'm going to be sharing. I have some posts that go up every week on fixed days. Batching these is easy as I have templates saved for each of these posts. I use batching for my other posts too though. For example, I often post here about topics related to book blogging. I batched four months worth of blog posts in one day. 1) I sat down and did a brain dump of ideas for posts related to book blogging. 2) I penciled these into my editorial calendar. 3) I then took each idea and brainstormed ideas for what to include. 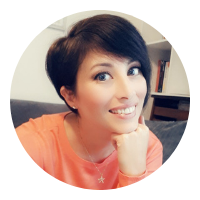 4) I made the graphics to go with each post (I use Canva to do this and have templates saved there to make it quick and simple), and got the drafts set up on my blogger platform. 5) I did research for each post/requested collaborations for each post, and added the information to the drafts. 6) I then wrote up the rest of the post and scheduled them all for posting on their designated days. Like I said, I've been blogging for a long time. I have a system that works for me. 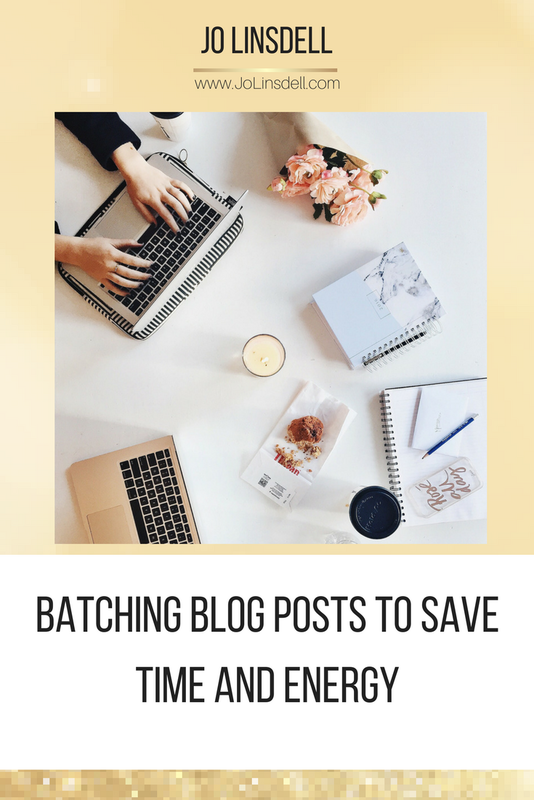 If you want to write more content for your blog in less time batching could be the answer you've been looking for too. Batching saves me time. It means I have most of my content scheduled in advance which means more consistent posting. It also means less stress. I have two young kids, and life can get busy. When I know I have my posts all set up ready to go it takes a weight off my shoulders. As blogging is not my only job, it also means I free up time to spend on my other projects whilst maintaining my regular blogging schedule. 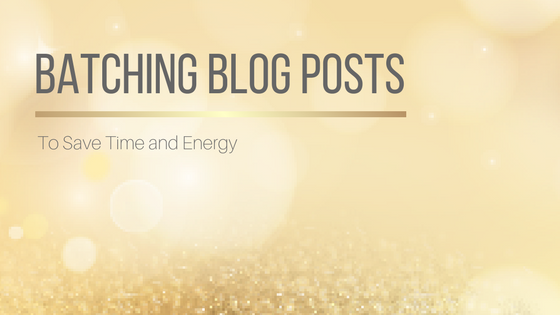 Do you batch your blog posts? Do you have templates for your posts and graphics? Got some other tips for save time and energy?